Epson, a global leader in printing technologies and market leader for ink tank printers, has launched its new A4 duplex integrated ink tank printer, the new L-series printers that offer one of the lowest printing costs in the market. Sporting a brand new sleek design, the new L-series integrated ink tank printers have been re-designed into a compact size with the ink tank integrated into the printer, offering the smallest footprint amongst all brands of ink tank printers . Designed with the customers’ experience in mind, its easy-to-use spill-free ink bottles offer users ease and convenience when refilling the ink bottles. The ink bottles are designed to prevent re-filling errors with each ink bottle nozzle uniquely customized to fit its matching color tank. The new integrated L-series printers significantly lower the total cost of ownership to businesses with its ultra-high page yields. Each complete set of 4 ink bottles increased its yield to 7,500 black and white pages and 6,000 color pages to help businesses lower their operating costs. The pigment-based black ink also provides laser-like quality, making documents water and smudge-resistant when printing in mono. The new L-series ink tank printers come with auto-duplex print function which affords users up to 50% savings on paper cost, reducing running costs even further. Epson is currently the only brand offering ink tank printers with auto-duplex function in the market. Since Epson first launched its breakthrough ink tank system printers, the company has continued to provide innovative modifications to further improve productivity for business and home users. Epson’s long-term product development and manufacturing philosophy is aligned with the company’s motivation to innovate for the future to realize the company’s business goals, and at the same time ensure customer satisfaction and preserve the environment with its limited resources. “Epson printers have also taken steps to drastically reduce environmental impact by lessening the amount of consumables used. Compared to laser printer’s toner cartridges which gives low black page yield and made from more plastic materials, customers can print 7,500 pages with the Epson L- series resource-friendly ink bottle,” explains Russer Cabrera, Product Manager, Inkjet Printers, Epson Philippines. The new L-series printers come with PrecisionCore printheads for high performance, achieving high ISO print speeds of up to 15ipm for standard black and white printing and 33ppm for draft printing, for improved business efficiency. Delivering a maximum print resolution of 4800 x 1200 dpi, Epson’s PrecisionCore printheads are composed of Micro Thin Film Piezo print chips for precise multi-size droplet control capabilities, ensuring the greatest details and extremely smooth gradations in documents or photographs. The integrated ink tank printers deliver exceptional quality black and white prints with the use of black pigment ink that produces water and smudge-resistant printouts. For photo printing, the printers offer outstanding lab-quality photos when printing on photo media. Large-sized photo printing is made possible as the printers support borderless printing of up to A4 size. Additional features include a 30-page Automatic Document Feeder (ADF) for unattended scanning and copying of multi-sheet documents . 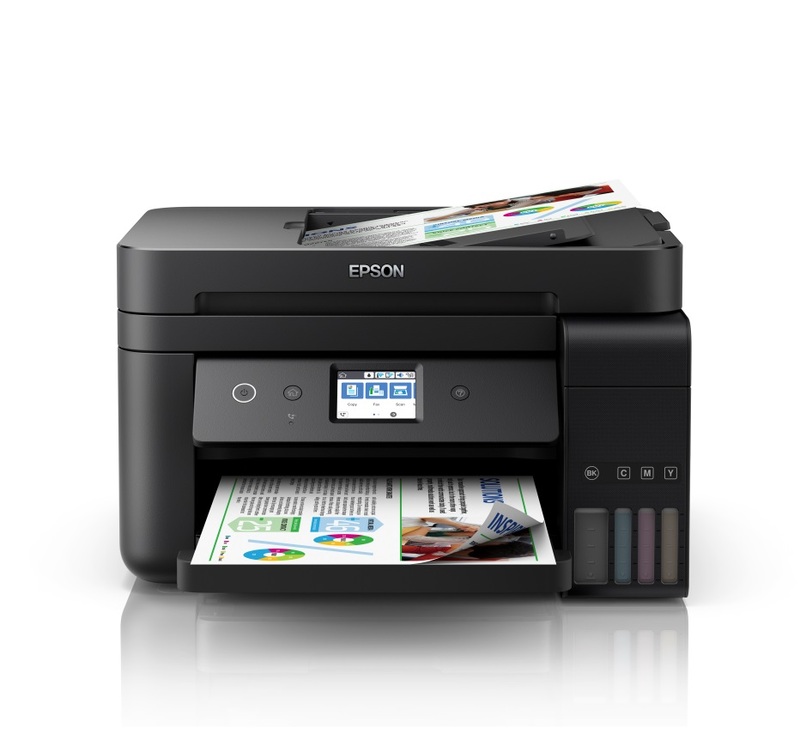 The ink tank printers support printing on-the-go and comes equipped with Ethernet2, Wi-Fi, and Wi-Fi Direct connectivity, enabling users to print wirelessly within a network, connect to mobile devices or print remotely from anywhere via Epson Connect, Epson’s suite of connectivity solutions. As the brand with the widest range of ink tank printers worldwide, Epson continues to lead as the number one ink tank vendor, achieving the largest market share of ink tank printers among ink tank vendors across South East Asia. There are now over 20 million Epson ink tank printers sold worldwide since its launch in 2010. “We have redesigned the experience of our L-series ink tank printers to bring greater convenience and ease-of-use to users, as well as added new features that support the business needs of our customers. The new integrated ink tank printers are designed with the customers’ experience in mind to offer one of the lowest printing costs in the market. We look forward to offering solutions that support businesses by helping them to manage their operational costs and improve business efficiency,” said Eduardo Bonoan, General Manager and Head of Marketing, Epson Philippines. The new integrated ink tank printers consist of the L4150 and L4160 models, and the L6160, L6170 and L6190 models.